Outdoor spaces are perfect for relaxing with a glass of iced tea in the summer, and the only way to make your space inviting is with comfortable furniture. 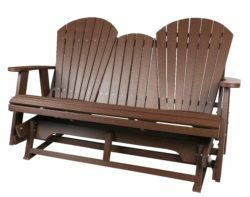 Amish Originals offers a customizable selection of outdoor glider chairs and benches that are great for lounging on your porch or patio. 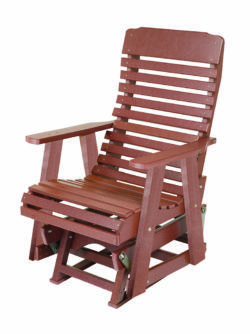 Our outdoor furniture is made with treated Pine or ultra-durable Poly Lumber that comes in a variety of colors. 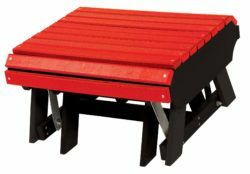 These materials are engineered to withstand outdoor elements and stay in good condition for years to come. 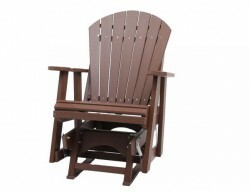 Our glider chairs and benches are available in a variety of styles and sizes, and are customizable upon ordering. 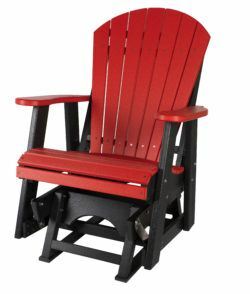 Similar to rocking chairs, glider chairs and benches offer a smooth back and forth movement while the base stays sturdy. If you have kids, gliders are much easier than rockers to get in and out of, and decrease the risk of getting your toes trapped while you rock. Sit and enjoy the breeze while you lounge in one of our beautiful gliders. 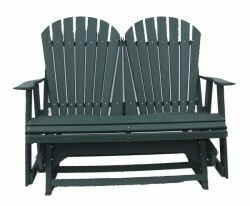 Contact us today for a quote on an outdoor glider.